ellehermansen: Empire Of The Sun: We Are The People! I can't get this song out of my brain! This Australian magical duo brings back the sounds of MGMT-styled vox and puts Lady Gaga's fashion to shame! This Mexican, Day-of-the-Dead-styled video is, surprisingly, pretty awesome. I feel it fits the wonderful song quite nicely. 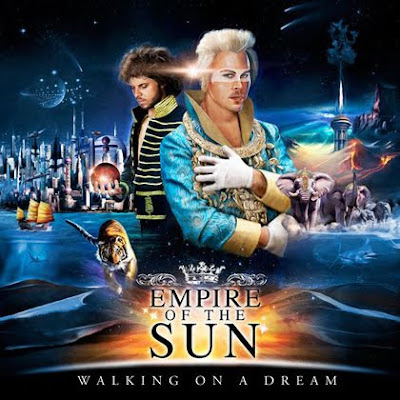 If you haven't heard of Empire of the Sun, I recommend a spin or two of their debut album "Walking On A Dream". I don't think you will be disappointed!